The beginning of a new year is always bittersweet to me. I reflect on all the great times we’ve had the past year, how much the kids have grown and changed, all the things I wanted to do but didn’t, and so much more. I then look at the blank canvas before me, and plan out the things I want to accomplish over the next year. I also begin to realize that my babies are no longer babies, and my heart aches…even though I understand this is the way life is, it doesn’t make it any easier. We, as a family, are setting goals (personal & family) rather than resolutions…pretty much the same thing, but if we call them resolutions we end up breaking them within a couple weeks and then feel like crap. We are still working out the details, and since Trinity is not here yet to share hers, I am not posting them yet. I am going to post them here to hold us accountable. I feel that if you don’t share what you want with others, you are less likely to actually do anything. I will say, I am aiming high this year. I know God has big plans in store for us as individuals, and as a family. 2010 is going to be a year of big change, and I am nervous about the unknown, but excited as well. We are extremely blessed, but I know it is nothing compared to what God wants to give us…we are constantly putting limits on Him, and this year it stops. 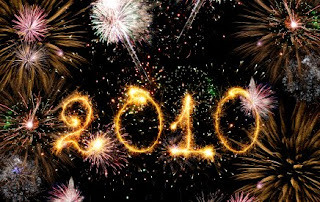 Bring it on, 2010! I’m ready. So, to start out the year, my prayer for all my family, friends, and readers is that you gain a passion. That you make a difference in someone’s life. That you are abundantly blessed, and choose to share that abundance with others. And that you thank and praise God for every second, of every minute, of every hour, of every day of this new year…the beginning of a new decade.